KAPSABET TOWN TO BE UPGRADED INTO A MUNICIPALITY. 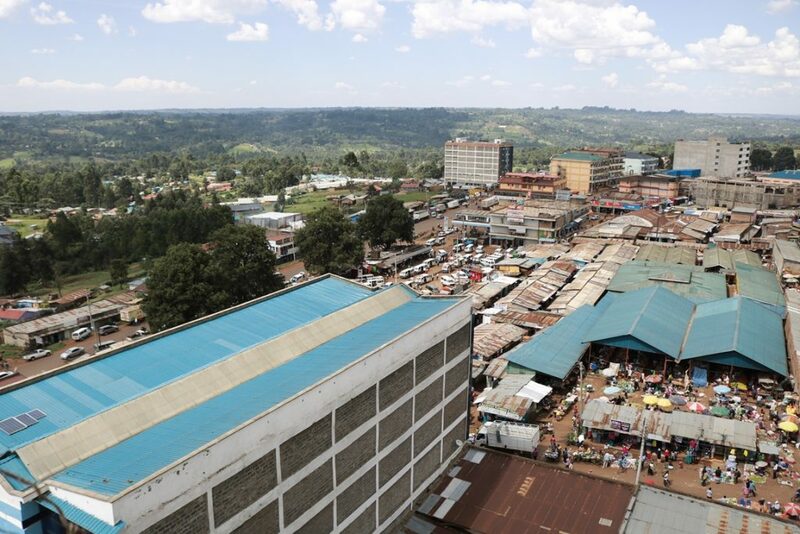 Urban areas remain key strategic investment hub for economic growth in the Counties. Through the Department of Administration Public Service and e- Government, County Government of Nandi is looking forward to the conferment of Kapsabet Municipality Charter as the first Municipality in the since the inception of the devolved unit. This comes after an agreement between World Bank and National government acting through the Ministry of Transport, Infrastructure, Housing and Urban Development in collaboration with the Kenya Urban Support Program (KUSP) in order to implement the National Urban Development policy in the counties as in the The Urban Areas and Cities Act of 2011. The World Bank has agreed to support by providing grants and access to which is conditional to performances of the County. This support will be done in phases through the provision of Urban Institutional Grants (UIGs) and Urban Development Grants (UDGs) to finance investments of urban infrastructure and service delivery. The Municipality, whose boundary shall cover locations of Kaptildil, Chepterit , Chemundu,Kamobo, Kiminda ,Kipture, Kipsigak and Kabirirsang, shall have many objectives and functions as stated in the “County Government of Nandi Municipal charter”. Among these objectives set to be achieved by the Municipality include promotion, regulation and provision of refuse collection and solid Waste Management Services, Promotion and Provision of water and sanitation services and infrastructure (in areas within the Municipality not served by a water and sanitation provider), Construction and Maintenance of urban roads and associated infrastructure, Construction and Maintenance of storm drainage and flood controls, Construction and Maintenance of walkways and other non-motorized transport infrastructure, construction and maintenance of recreational parks and green spaces, Construction and Maintenance of street lighting, Construction, Maintenance and Regulation of traffic controls and parking facilities, Construction and maintenance of bus stands and taxi stands and regulation of outdoor advertising and ensuring that the County Government is provided with guidance and capacity building to enable it establish and operate urban Management Institutions for its urban areas. The Kenya Urban Support Program is there to fast track the process of conferment of the status of a Municipality at Kapsabet town in order for it to qualify for funding and the KUSP team has been visiting the County to provide guidelines and ensure adherence to KUSP Operations Manual, Minimum Conditions and Performance Standards for the grants. One of these minimum conditions is the Municipal Charter and the County government has gazetted it as the ‘Nandi County Municipal Charter’. The team also had the opportunity to meet the County Executive Steering Committee headed by the CECM Administration, Public service and E-government Teresa Morogo, also with the County Program Coordination team, affirms that Nandi County has met the minimum conditions and qualifies for UIG grants of 177 million and UDG grants of 50 million. These funds are therefore ready for the disbursement upon conferment of Kapsabet municipality. With these, there are great expectations geared towards transforming the Urban areas through proper Urban Planning and Management. These are key enablers in achieving quality and affordable housing as a pillar in the big four agenda and therefore all efforts by the County Government of Nandi are put in place for its achievement.